A new militia made of of militants who fled Bengahzi in recent months tried to seize the industrial zone in Ajdabiya today but were forced to retreat by units linked to the Libyan National Army (LNA) of Khalifa Hafter. The militia, known as the “Defend Benghazi Brigades”, is led by Islamist Ziyad Belam backed by Ismail Salabi, and is an attempt to reconstitute the Benghazi Revolutionaries Shoura Council which has been all-but defeated by the LNA. According to the spokesperson of LNA’s Ajdabiya operations room, Akram Bu Haligha, a convoy of 40 armed vehicles headed to Ajdabiya two days ago from the south. “The 101 brigade of the LNA were involved in a clash against the enemies forces at the area of the Man Made River project,” he said. He accused the head of the central region Petroleum Facilities Guards (PFG) Ibrahim Jadhran of helping the militia enter Ajdabiya. Three weeks ago, the Presidency Council set up the Ajdabiya-Sirte oeprations room under the command of Colonel Yousef Rajeb Ageela, although most of the forces consist of PFG men. In an order aimed specifically at the LNA, the Council also insisted no miltary grouping other than forces under its command should undertake any activities in the area. Since then the operations room has recaptured Ben Jawad, Nufliya and Harawa from the so-called Islamic State. The accusation that Jadhran helped Ziyad Belam attack Ajdabiya is unlikely. Jadhran supports the Presidency Council and the Government of National Accord and yesterday had talks in Ras Lanuf with its defence minister, Mahdi Barghathi, accompanying him also to Nufliya and Ben Jawad. For his part, Barghathi who has spent much of the past two years fighting the BRSC and otehr militants in Benghazi has said that the “Defend Benghazi Brigades” are extremists and will be opposed. It seems inconceivable that he would be making plans with Jadhran if the latter were at the very same time aiding and abetting the militants. The new force does have the support, however, the Tripoli-based grand mufti Sadik Al-Ghariani and is allegedly backed by some businessmen from Misrata. Ziyad Balam was head of the Omar Mukhtar Brigade in Bengahzi but was seriously wounded in an assassination bid there in October 2014. He was then flown to Turkey for treatment. After he returned to Misrata, he went to Tripoli and has never been back to Benghazi. 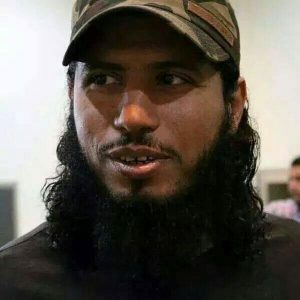 He has reportedly been active in the eastern part of Jufrah distict, from where, it is suggested, he launched the abortive operation against Ajdabiya.